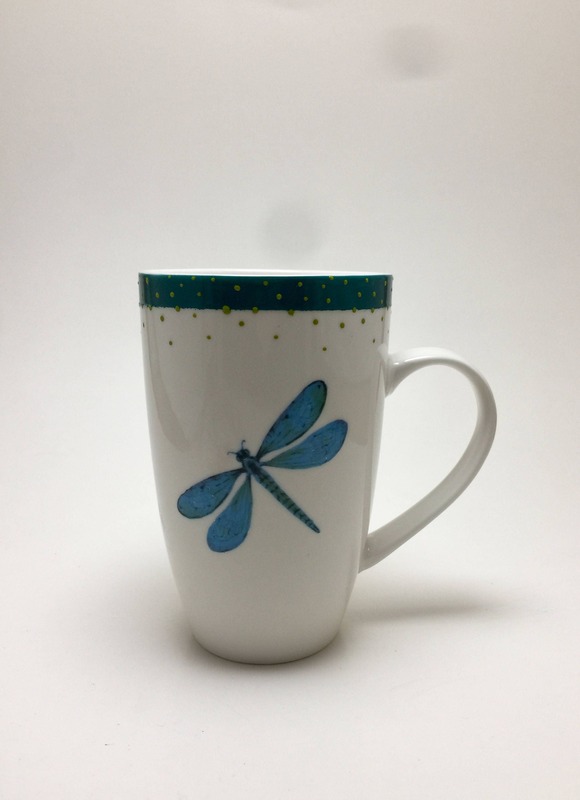 Cozy up with a cup of coffee or cocoa in this super cute Dragonfly themed white porcelain mug with a hand painted rim in peacock and lime green. 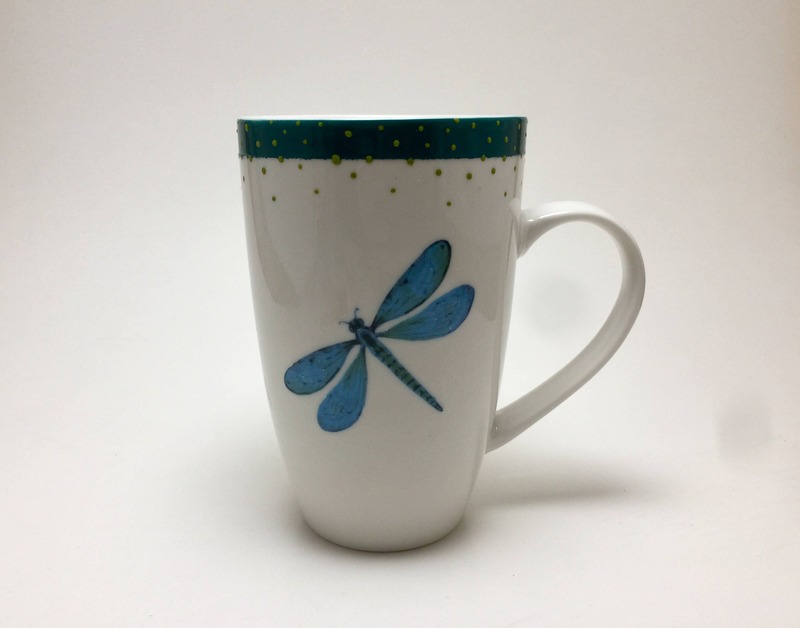 The paints I use are non-toxic and the kiln cured. Though heat curing allows for safe dish machine washing, and Use in the microwave.